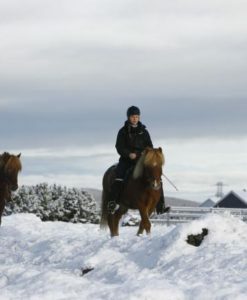 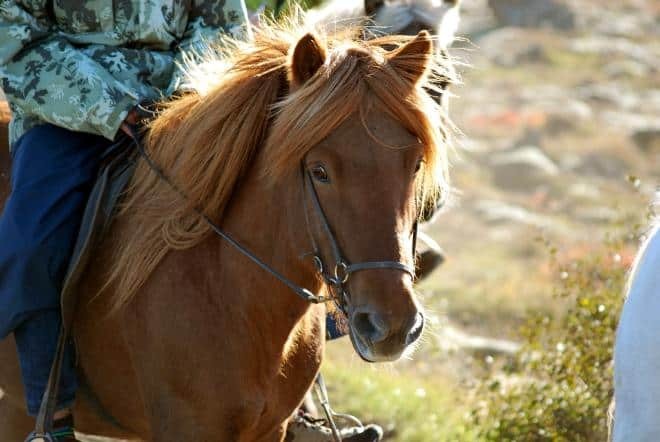 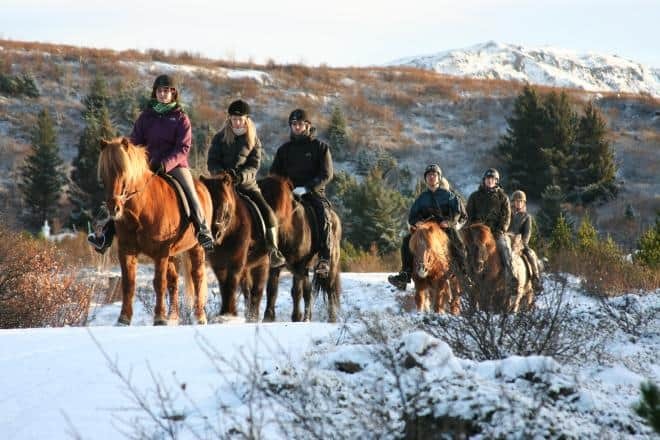 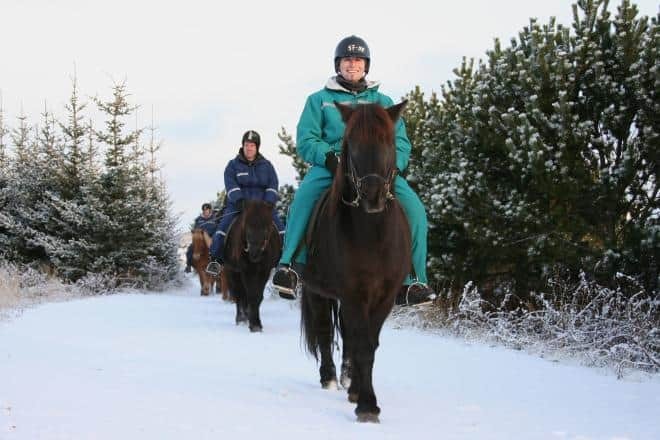 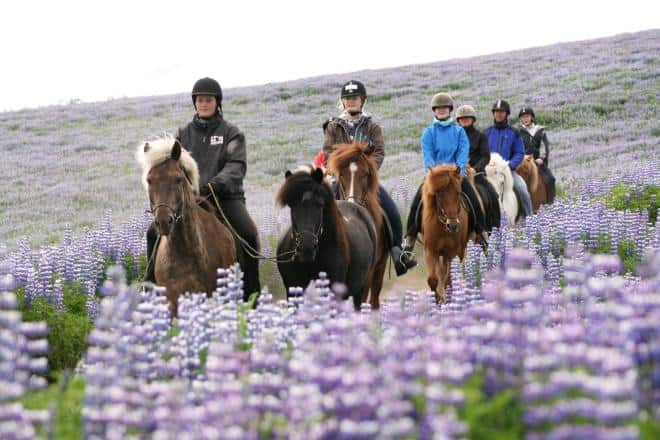 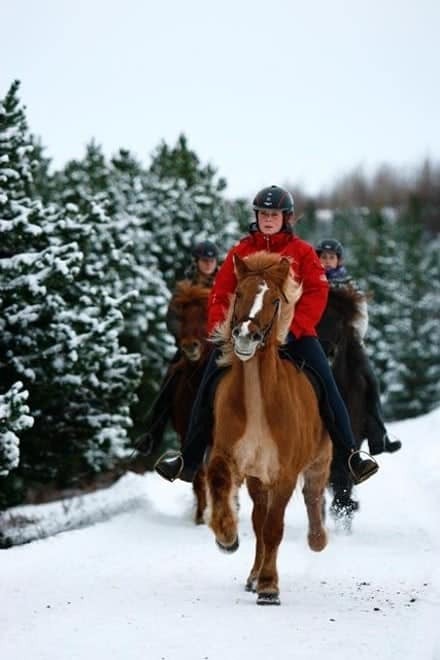 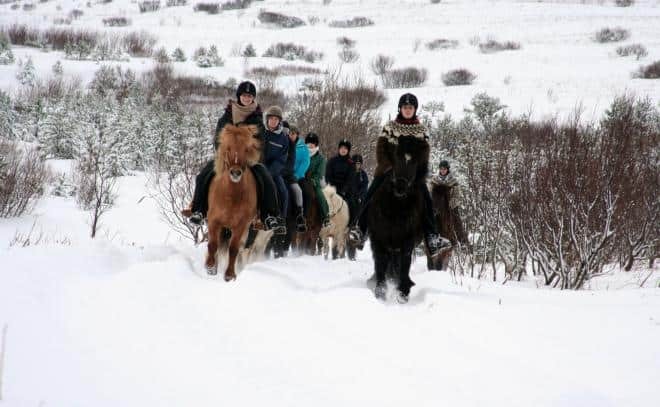 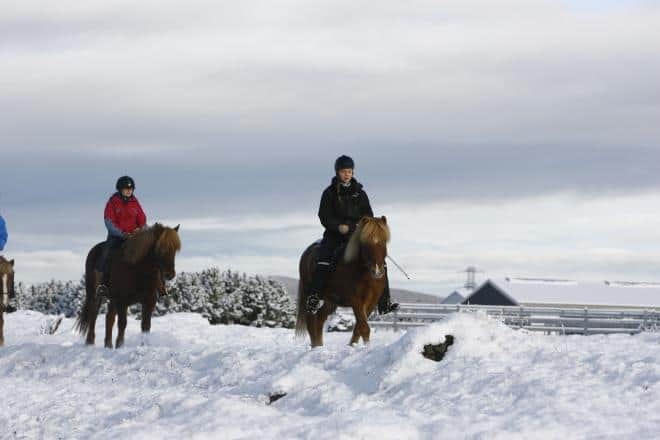 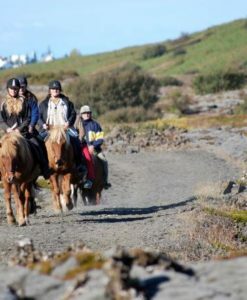 Our tour starts with an adventurous horse riding tour. 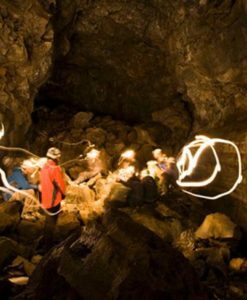 We will explore the lava surrounding Mt. 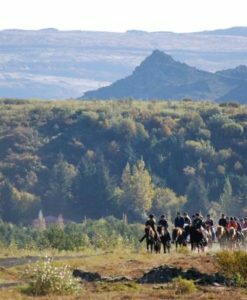 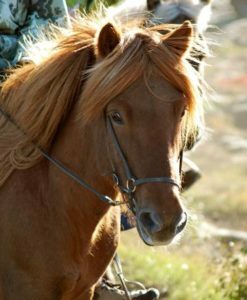 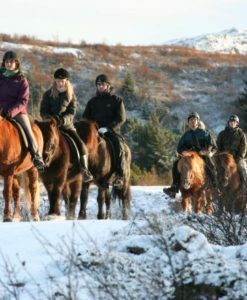 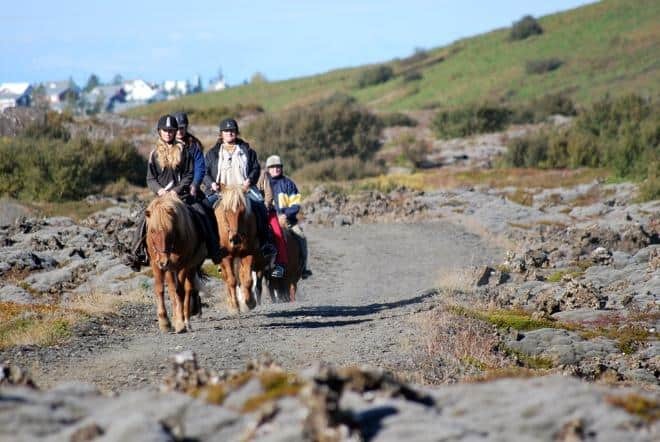 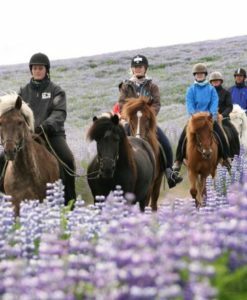 Helgafell volcano and ride through lava fields and across beautiful hillsides to the old Kaldársel sheep corral or to Lake Hvaleyrarvatn. 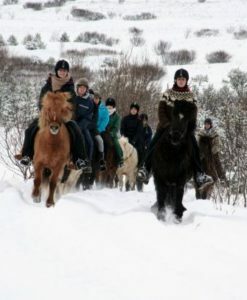 Our tour starts with an adventurous horse riding tour. 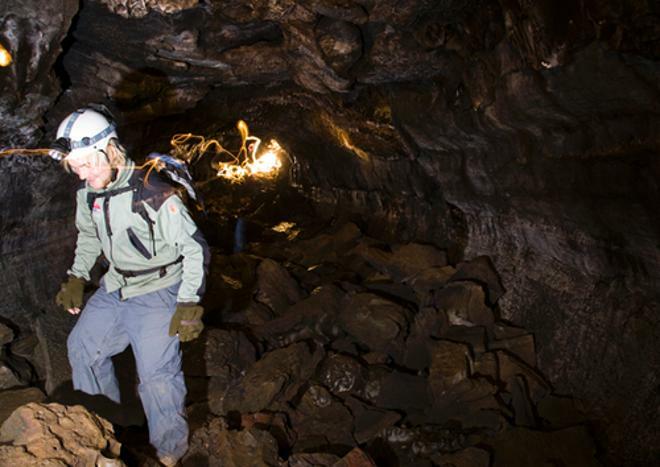 We will explore the lava surrounding Mt. 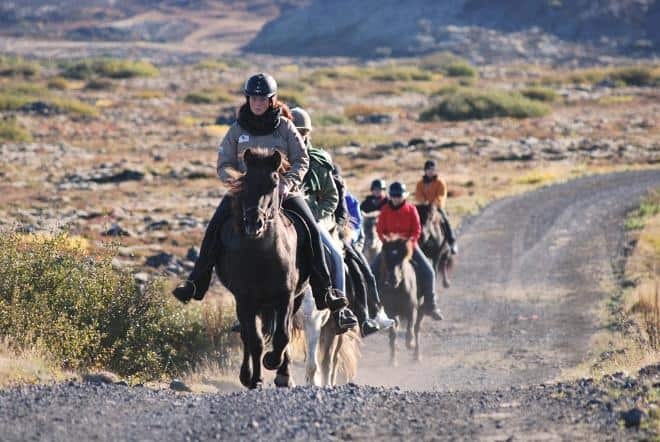 Helgafell volcano and ride through lava fields and across beautiful hillsides to the old Kaldársel sheep corral or to Lake Hvaleyrarvatn. 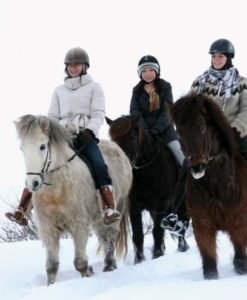 Lunch is at the Riding Centre before you head to the cave. 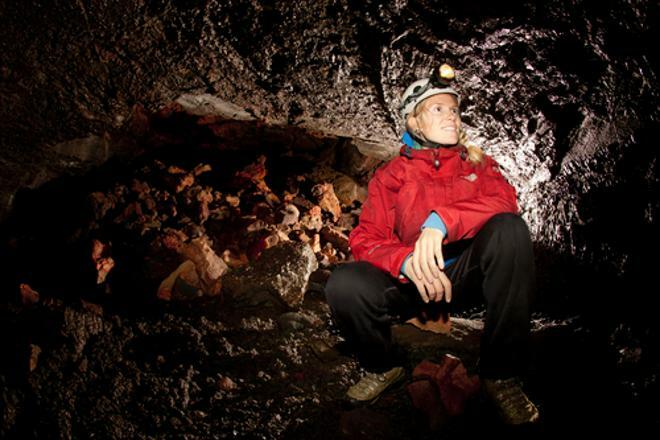 After the horse riding tour we immerse ourselves into the velvet darkness of the Leiðarendi lava cave. 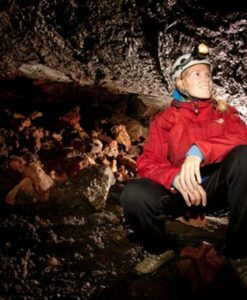 Exploring this magnificent lava cave and discovering the marvels that the volcano created more then 2000 years ago is a trip that everyone will enjoy. 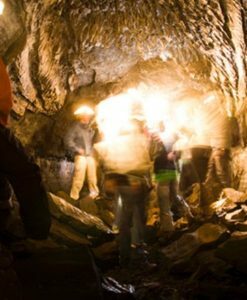 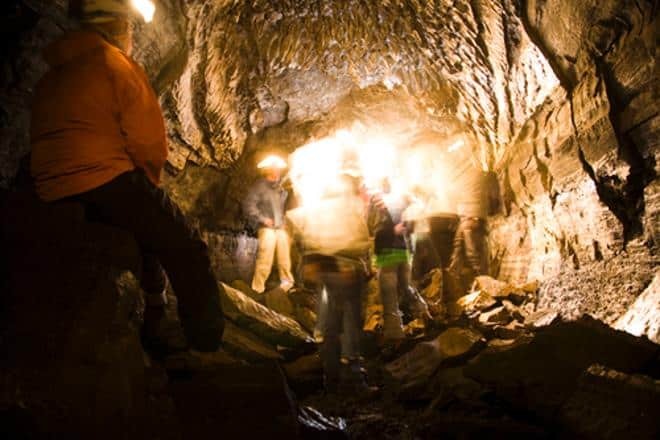 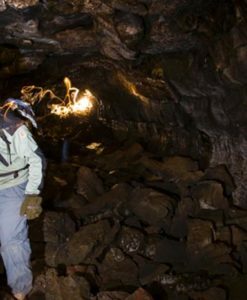 Leiðarendi cave is a perfect example of an Icelandic lava tube and it is situated in one of the most active volcanic areas in the world. 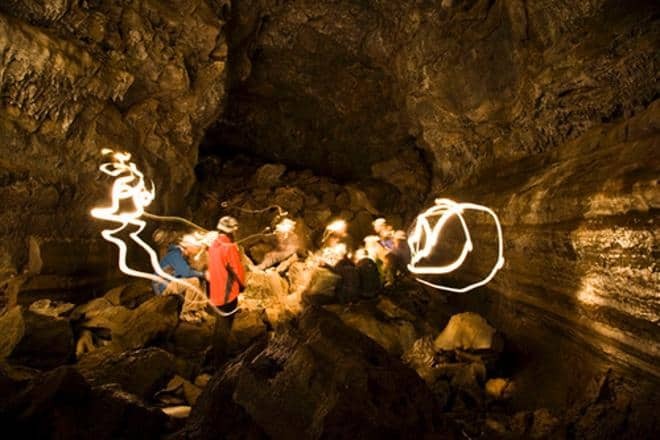 We will climb, crawl and walk on our travel beneath the surface. 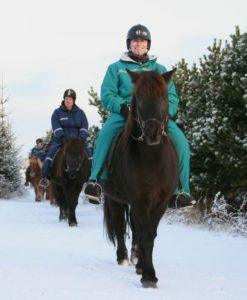 Total tour duration is 8 hours,2 hours riding. 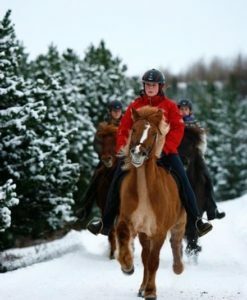 for beginners and more experienced riders. 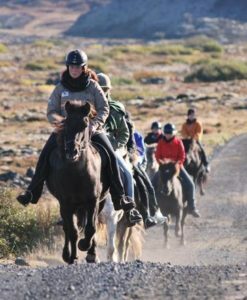 NOTE : After the riding tour you change from the horse transfer bus for the caving transfer bus. 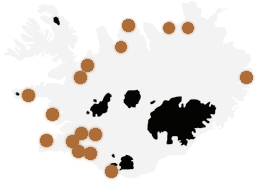 Return to Reykjavík at approx. 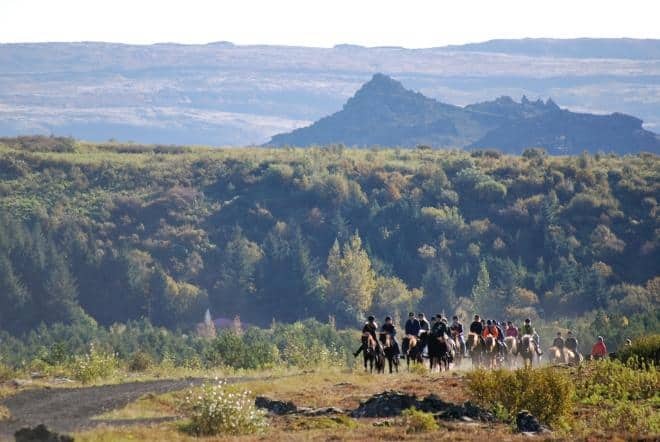 06:00 PM. 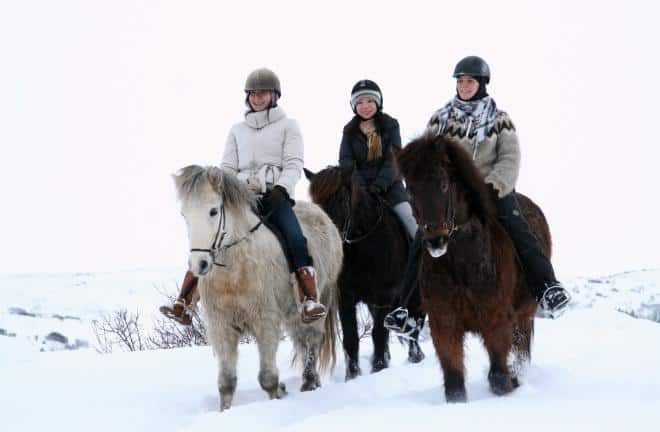 We recommend bringing a packed lunch with you!